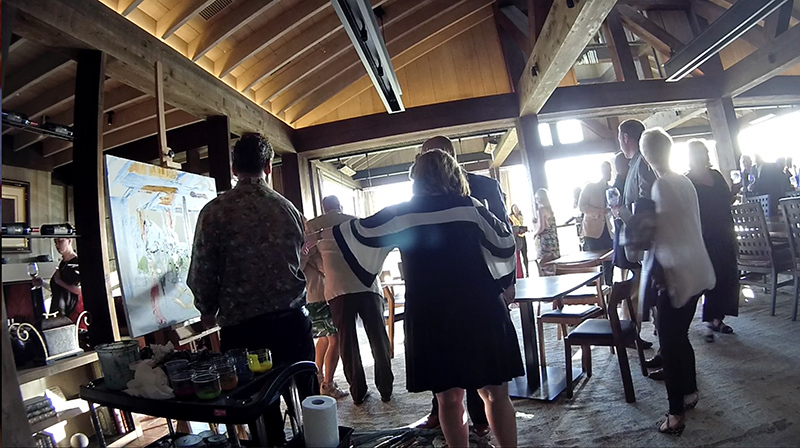 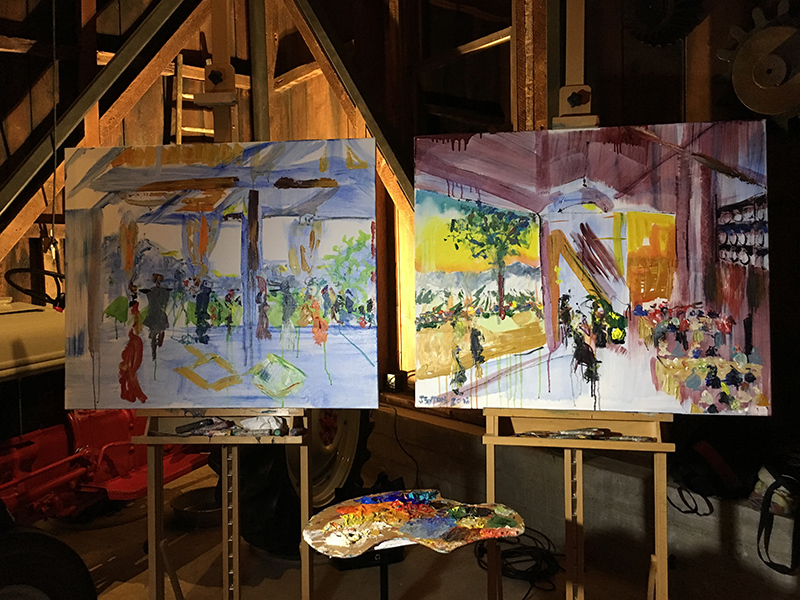 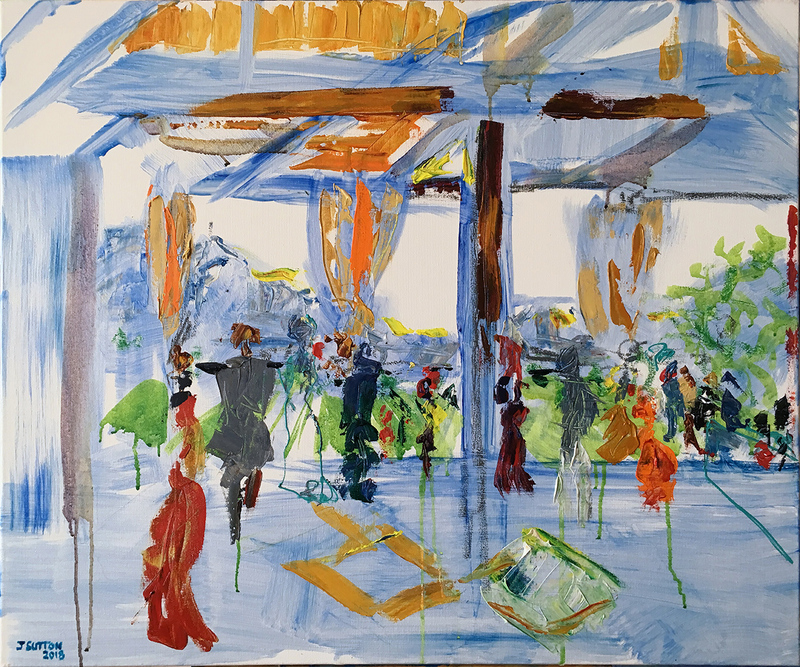 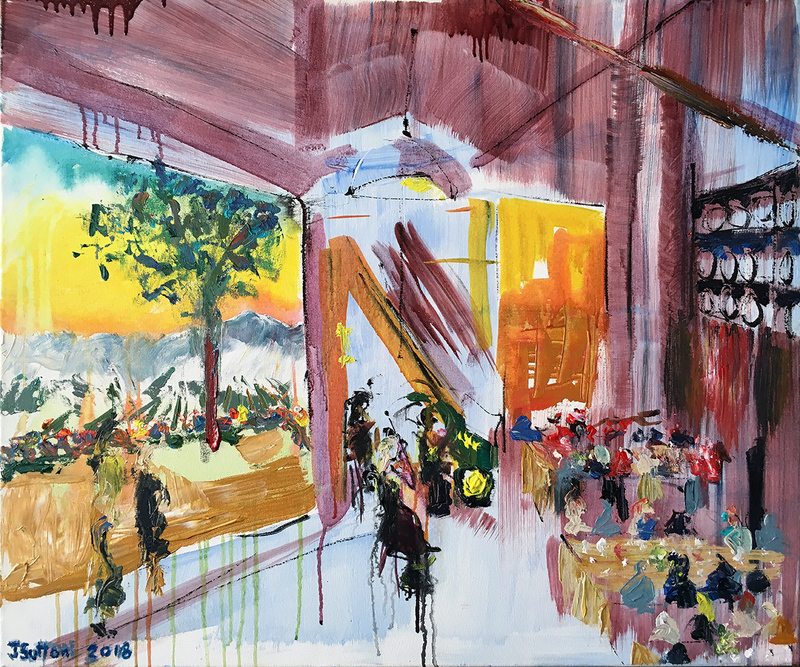 This diptych comprises two 36 x 30 canvases, the first painted during a reception on the beautiful deck of the Davis Estates, and the second painted while guests enjoyed a sumptuous dinner in the barn looking out over the most magnificent vista of vineyards, accompanied by the music of the Eclecta Trio. 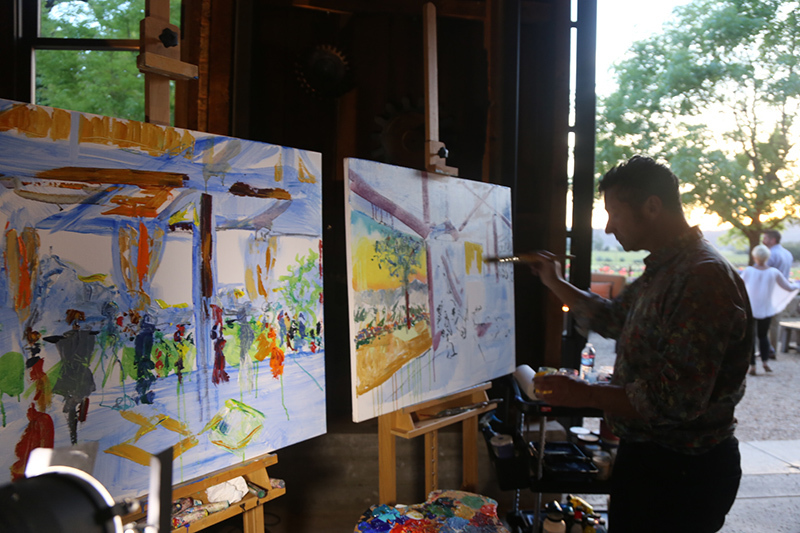 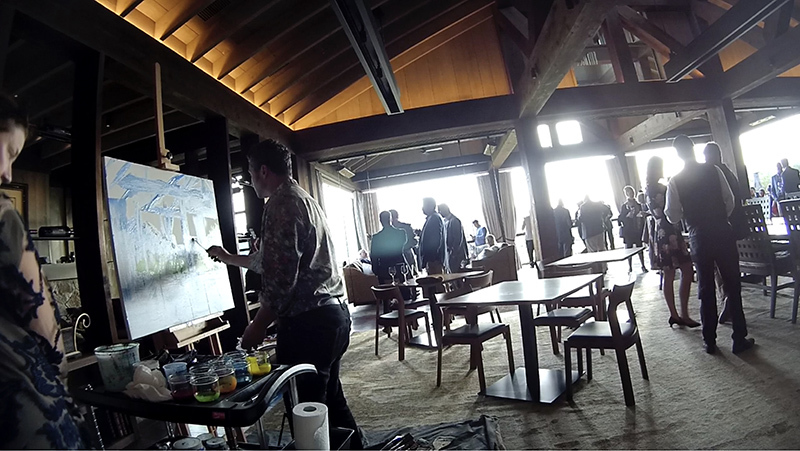 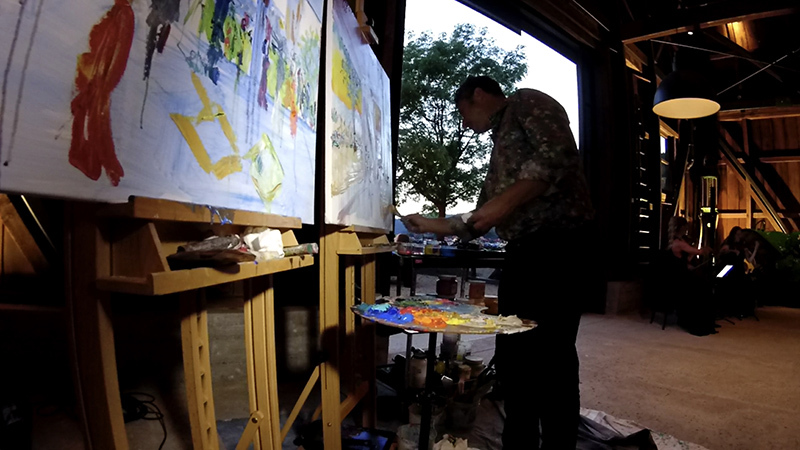 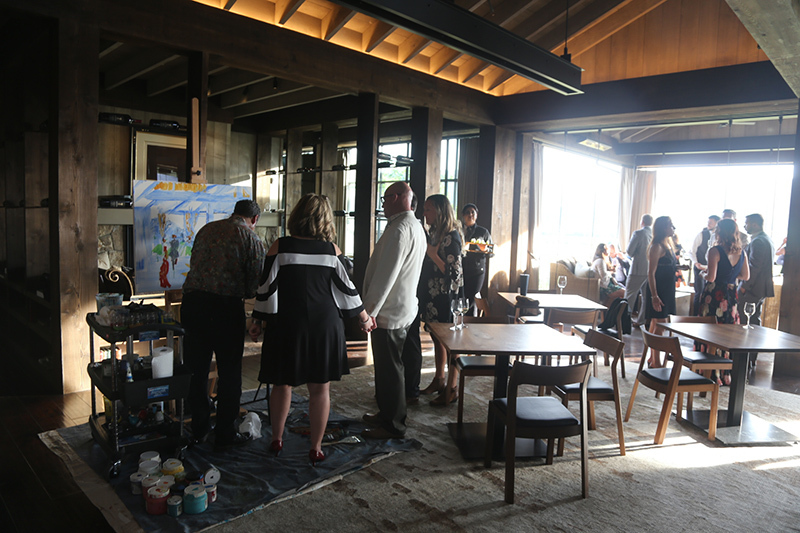 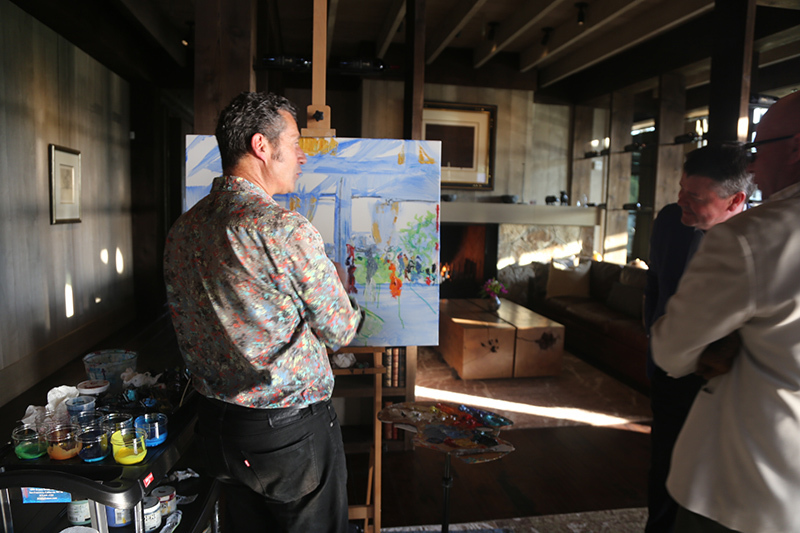 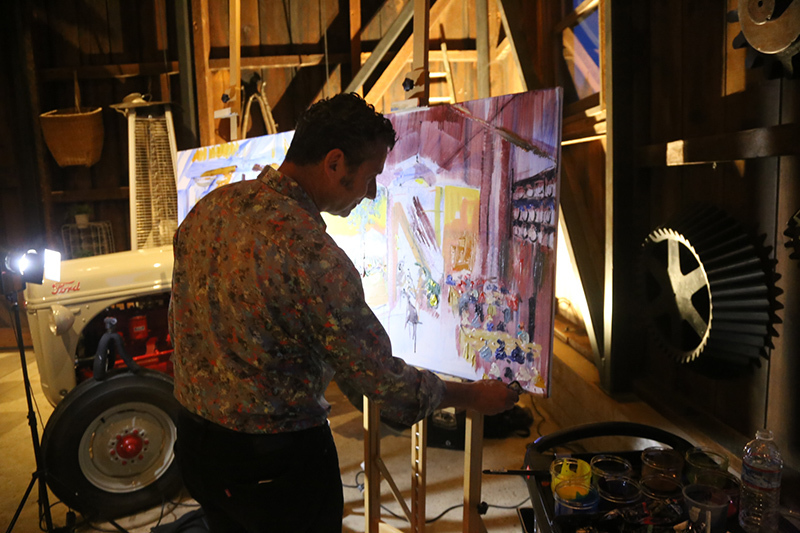 Each painting was created from a blank canvas as guests enjoyed watching the process from beginning to end. 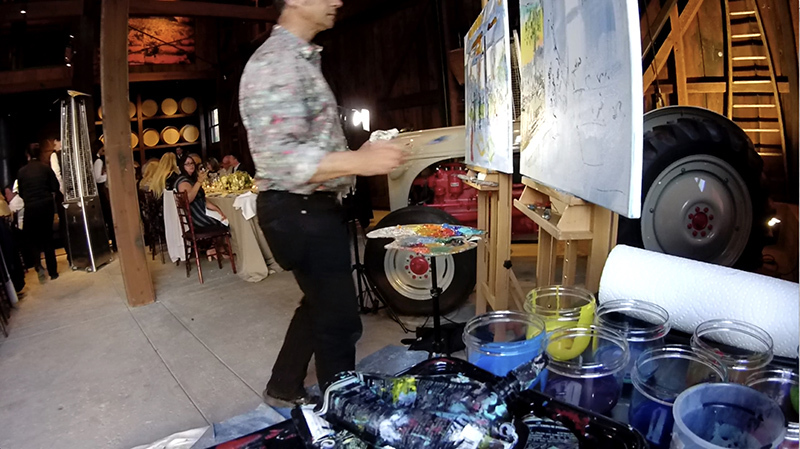 Each painting captured the atmosphere and together they are a very special unique momento of the special event for the client.